For any of us who identify as being casually nihilistic, Odonis Odonis have been issuing a clarion call to collectively and permanently move ourselves into a future that is a little more bleak, a little more real and vastly more interesting. And I’m so in. These guys are almost definitively the most underrated band still making music right now. As one of Toronto, Canada’s best underground bands, it’s time to bring them out into the American sun. And while they’ve changed a couple of key components from their previous albums, Post Plague is a great next step for these guys. For starters, the use of a synth as percussion is a fairly drastic switch. In their previous two albums, synths are basically background noise. Across the whole album, though, the synth is front and center as it drives home a fairly repetitive beat that initially brings to mind the bigger music festivals of the world, which is a sharp turn for a band that decries mainstream society. But even though they’ve adopted the instruments of mass appeal, they still hold true to their roots as hedonistic discontents. The song that best drives home their counter-cultural mindset is “That’s How It Goes,” where singer Constantin Tzenos cynically lays out what happens with age as he bellows, “Your house gets bigger / Your heart grows cold / Your world gets sicker / That’s how it goes.” Now, without having listened to it yet, imagine Tzenos laying down this sort of status quo–shattering propaganda against a backdrop of industrial fuzz that really pushes your blood against the walls of the veins that bind them. I don’t care if you don’t even know what ACAB means—you’re going to be throwing Molotov cocktails at whatever is holding you back by the end of the song. Granted, this latest album is probably not the cornerstone of their discography, but if this were the debut album of some no-name band the music world would be clawing at the gates of hell to get at it. 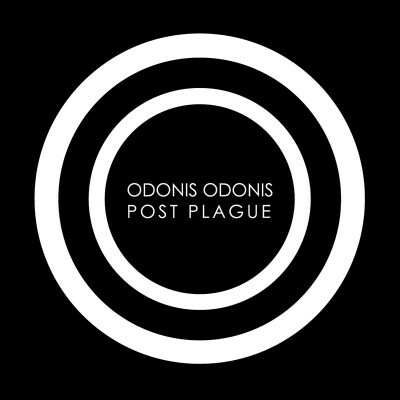 Odonis Odonis move away from classic instruments is something I don’t know if I understand, but they haven’t lost it yet. All I know is that they had a tough job of following up their last album, Hard Boiled Soft Boiled, and as far as I can tell, they did a damn good job of doing it without getting stuck.